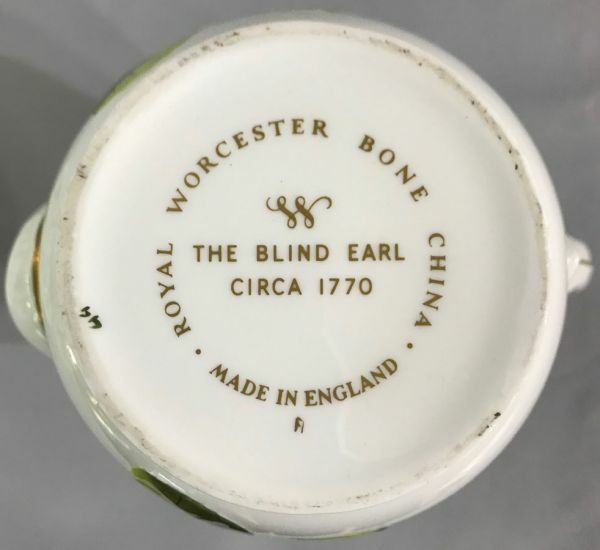 Vintage Royal Worcester Blind Earl pattern. See our blog post with the story of this pattern. 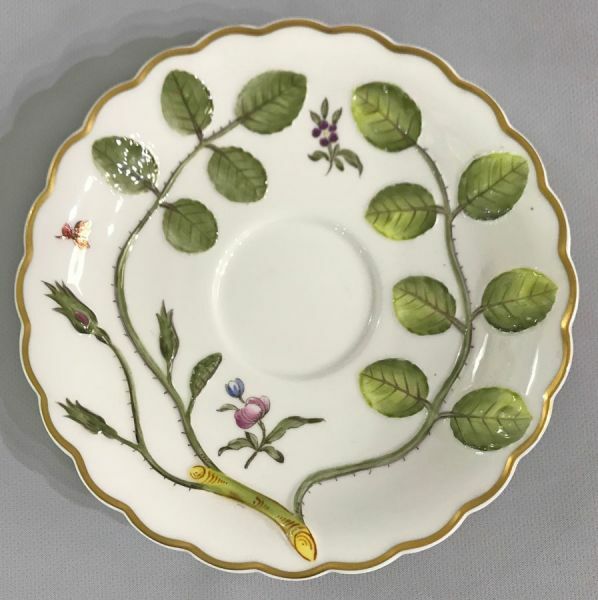 Kindly note the link will take you to our origional blog at torontoantiquesonking.com. The coffee pot is 9” high, $695. The coffee cups and saucers are $395 each. The cups are 3” high, the saucers are 6” in diameter. 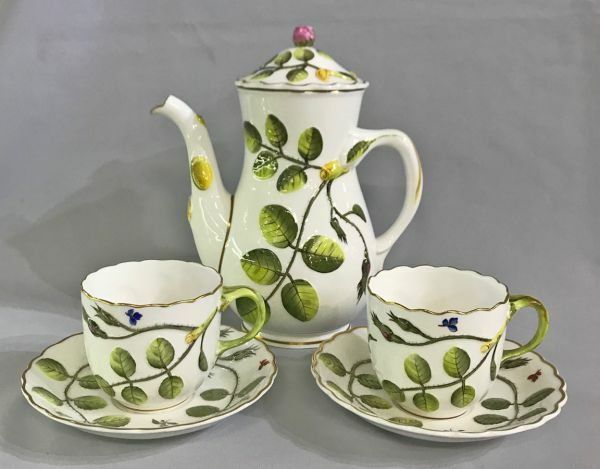 Demi-tasse cups and saucers, $295 each.